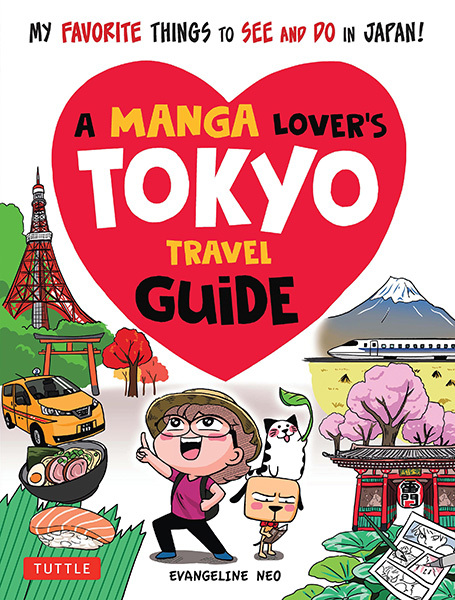 In this captivating Tokyo travel guide, manga artist and author Evangeline Neo travels to the Japanese capital with her mascots Kopi the dog and Matcha the cat in tow, bringing you to all the otaku sights this city has to offer. She shows you where to shop for manga memorabilia in Akihabara and Nakano, takes you on a tour of famous anime and manga museums like Studio Ghibli and Sanrio Puroland, and shares her experiences at a cosplay studio, a maid and butler cafe, and a manga drawing class. In addition to manga and anime-related adventures, Eva brings readers to all the must-see Tokyo sites as well—from Asakusa's Sensoji Temple to Tokyo Tower and the Meiji Shrine. She also introduces travelers to sushi train restaurants, hot spring baths and a kimono makeover session—even a day trip to Mt. Fuji! Along the way, she shows you all her favorite places to shop and eat, and gives advice on what to pack, what to buy, how to get around, and even how to speak a few words of survival Japanese. 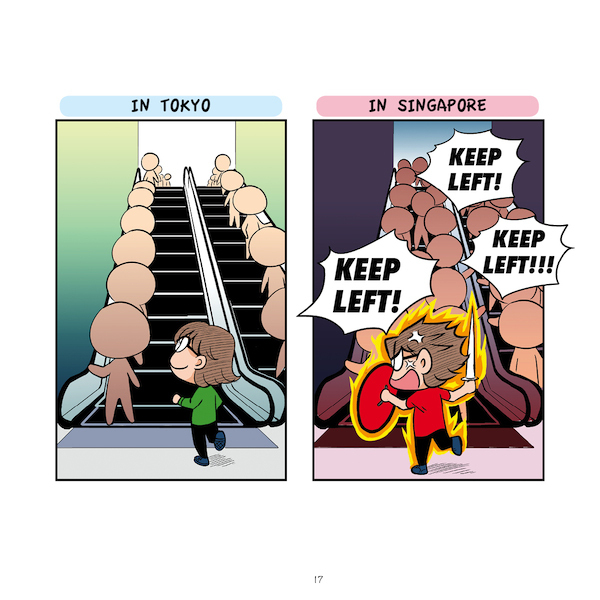 This manga guide to Tokyo is depicted in charming and humorous drawings and stories, which are as enjoyable for armchair travelers as they are practically useful for visitors to the city. 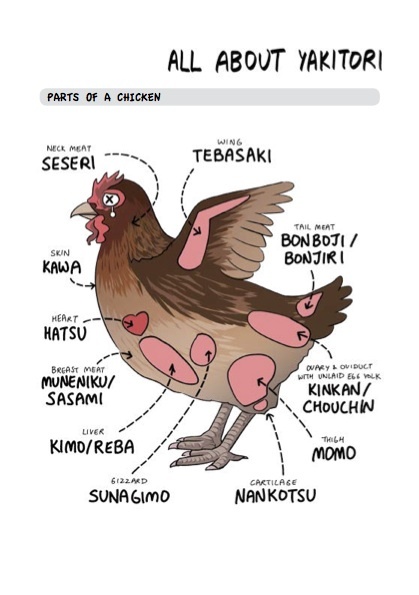 Step into the world of modern Japanese culture through this amusing and unique guide to one of the world's top cities. 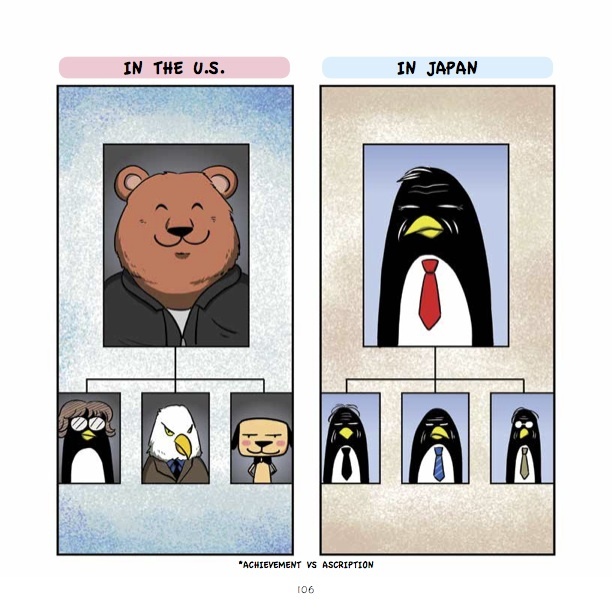 *Book will be released in May 2019 in Asia and Aug 2019 in US. You can pre-order from Amazon first! Availability: Major bookstores in Singapore and Malaysia. Please see Downloads for the available ebook formats. 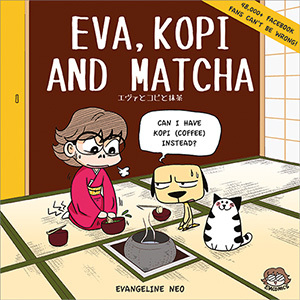 Evangeline Neo’s gallery of cultural differences continues with this follow-up to Eva, Kopi and Matcha. 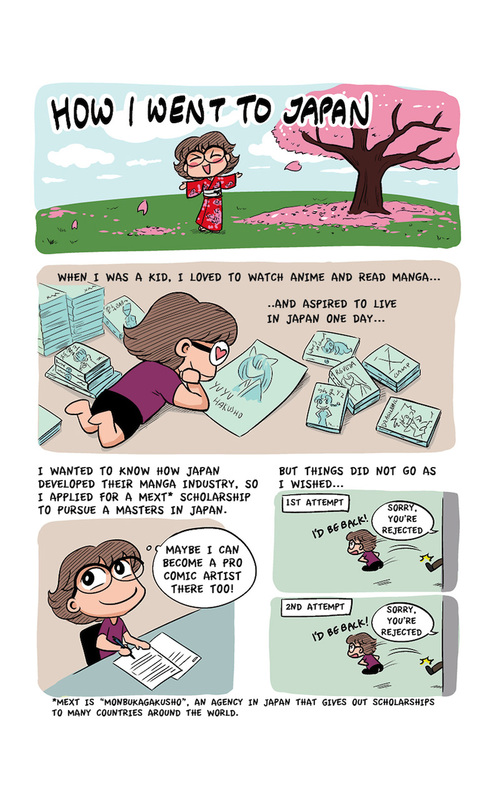 During her studies abroad in the United States and Japan, Eva’s early brushes with how things are in those countries left such an impression on her that she eventually recorded them in webcomics, which featured her imaginary pets: Kopi the dog and Matcha the cat. In this volume, readers are also regaled with often hilarious anecdotes of life abroad and comparisons between her home country of Singapore and places such as the United States, Vietnam, Indonesia and, of course, Japan. Some of her earlier works are also included here. Through her art and accounts, one realises that humour might be the best cushion for culture shock. Vietnam: "Eva Goes Solo – “Nữ hoàng số nhọ” trên đất Nhật"
Eva has always wanted to experience life in Japan. But upon her arrival there to pursue a master’s degree, she soon finds that it’s not entirely like what she’d gleaned from reading manga and watching anime. 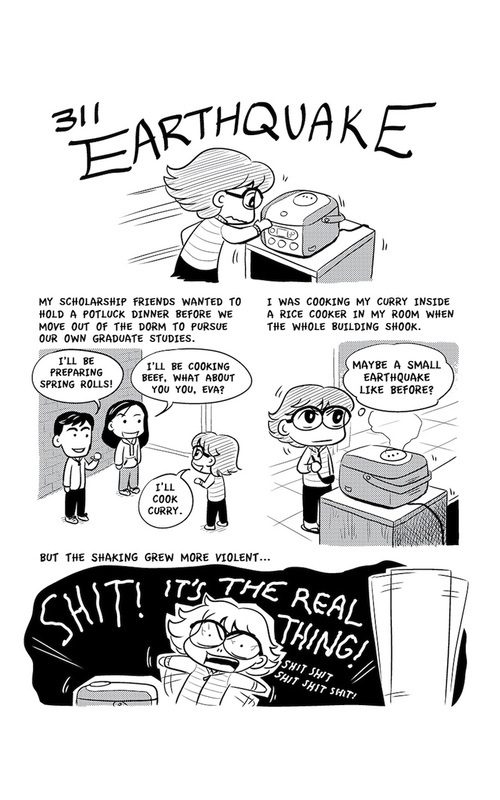 From dirty dorms and Japanese bureaucracy to natural disasters and hay fever-inducing pollen, Eva’s stay in Japan was no walk in the cherry blossom park. She was also there during the 3/11 earthquake, among the worst quakes in recent history. In this follow-up to “Eva, Kopi and Matcha”, follow Eva’s footsteps as she experiences some of the best and not-quite-the-best Japan has to offer during her postgraduate adventure. 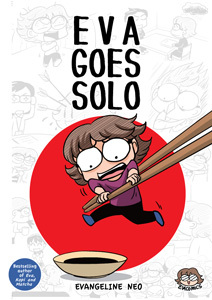 Her accounts in “Eva Goes Solo” – humorous, sometimes harrowing and informative – show that her fondness for all things Japanese has not waned, despite everything. 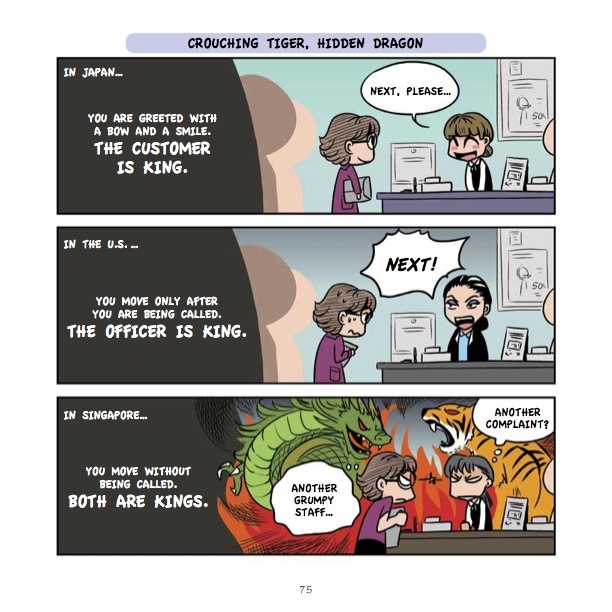 Comes with a 20-page travel guide to Japan at the back of the book. Indonesia: "EVA THE EXPLORER, One Kawaii Auntie, Two Beautiful Countries"
Vietnam: "Eva Phiêu Lưu Ký - Từ Đảo Quốc Sư Tử Đến Xứ Sở Hoa Anh Đào"
Who would have thought that Eva’s crossover from one red dot to another could be peppered with so many good laughs? 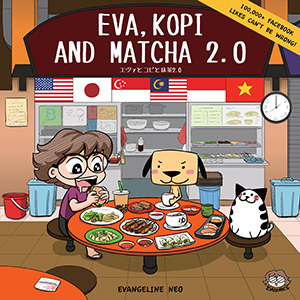 Eva, Kopi and Matcha is a light-hearted and witty narration of cultural differences in Singapore and Japan, matter-of-factly spewed out by Eva, a typical Singaporean with an “auntie” mindset. In this humorous trajectory of everyday musings, Eva takes a funny, and often self-deprecating look at random and awkward mismatches between the two red dots, revealing much exasperation and delight along the way. Together with Kopi and Matcha, her imaginary pets, Eva tries to suss out a life in Japan and find a place in her home away from home.